Asserting that India can "stand tall in a trade war", noted industrialist Anand Mahindra has said the world needs access to the country's fast-growing large economy amid the US hiking tariffs on certain steel imports. "Not sure why Indian markets seem so perturbed by the threat of global tariff wars. Small, export focused countries stand to lose. Countries with large domestic economies can easily withstand tariff threats. 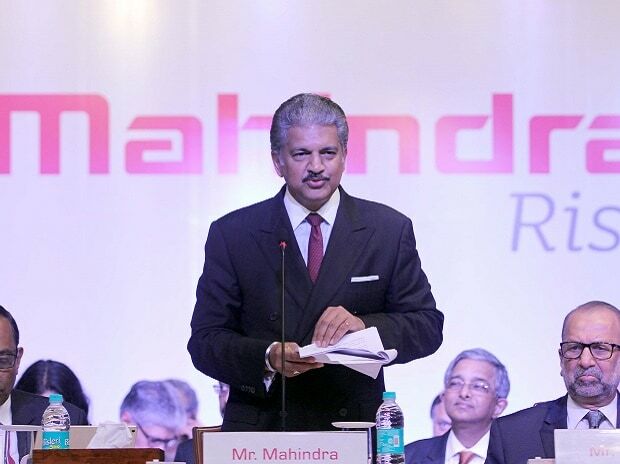 The world needs access to the fastest-growing large economy-India," Mahindra said in a tweet. The chief of the diversified Mahindra Group further said MNCs wanting access to India's markets will have to manufacture locally, which they will. "So, no danger of drifting back to a socialist, stagnant economy. I'm no believer in protectionism and enjoy competing globally but I believe India can stand tall in a trade war," the industrialist added. The US recently imposed hefty tariffs on imported steel and aluminium, citing national security concerns and the need to protect American industries from "unfair" business practices, triggering fears of a global trade war. US President Donald Trump signed two proclamations that levied a 25 per cent tariff on steel and a 10 per cent tariff on aluminium imported from all countries except neighbouring Canada and Mexico. India will wait for the notification to see the impact of tariff hikes, Commerce Secretary Rita Teaotia had said even as there has been a global outcry over the US' decision to increase duties beyond its commitment at the WTO. Mahindra, in another tweet, said, "If India retaliates with tariffs, the effect will be very different from what it was post-independence. Today, India's a free-market economy and can access global technology and capital to fuel its own innovative start-ups. It's resource-rich & can import commodities it lacks".